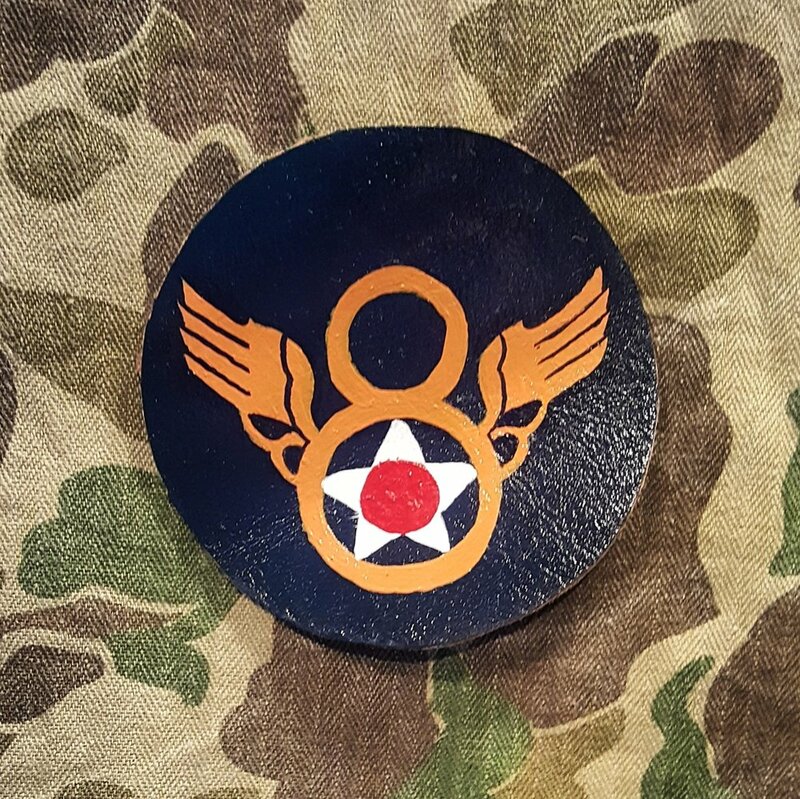 During the second world war pilots in the U.S. Army Air Corps wanted to be able to distinguish themselves. 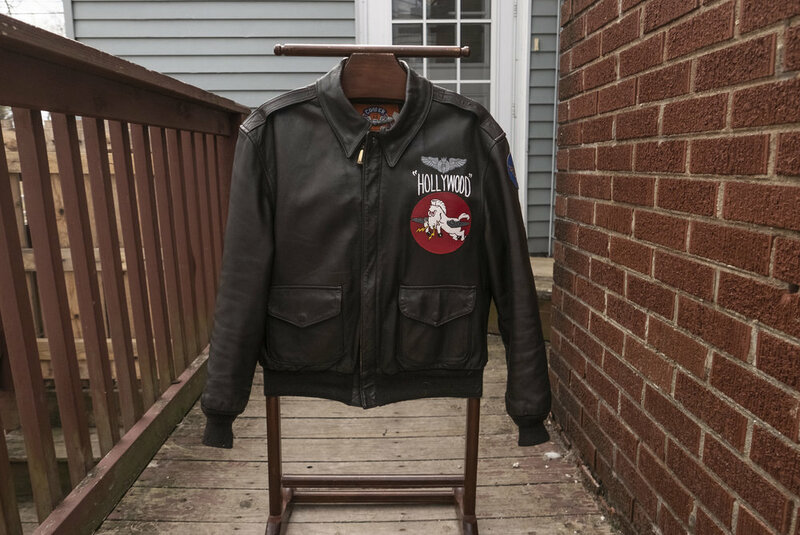 The military A2 Bomber Jacket was a way of doing so. 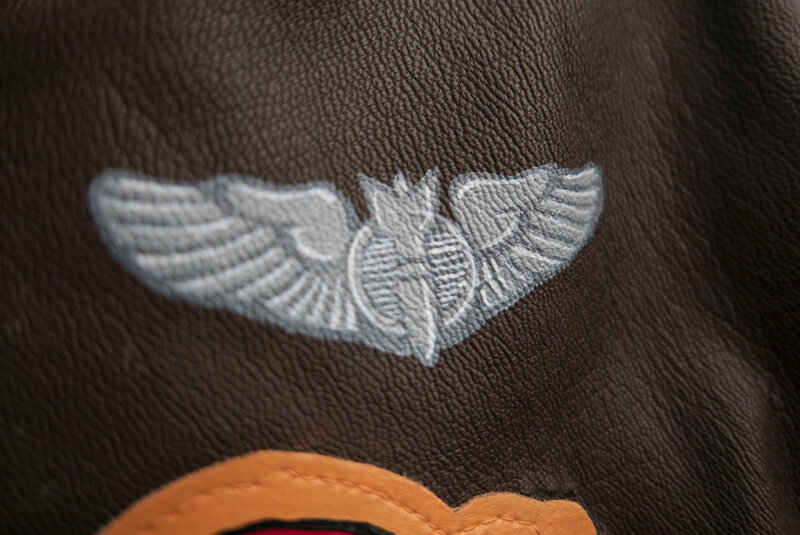 It was a symbol of pride and honor for pilots to wear them. 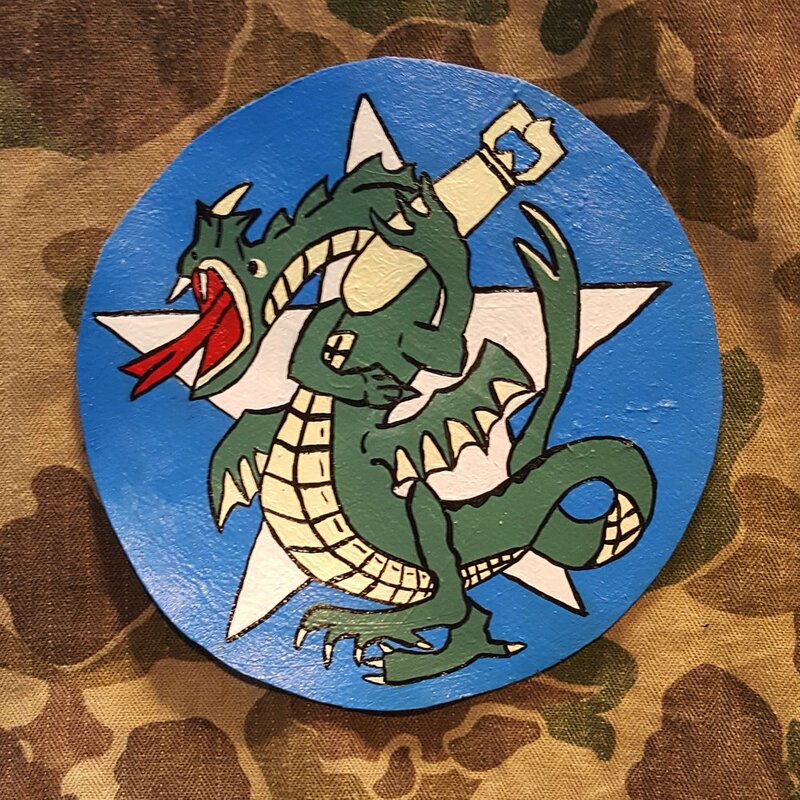 One of the first things they would do after enlisting would be to buy an A2 jacket from the PX on base. 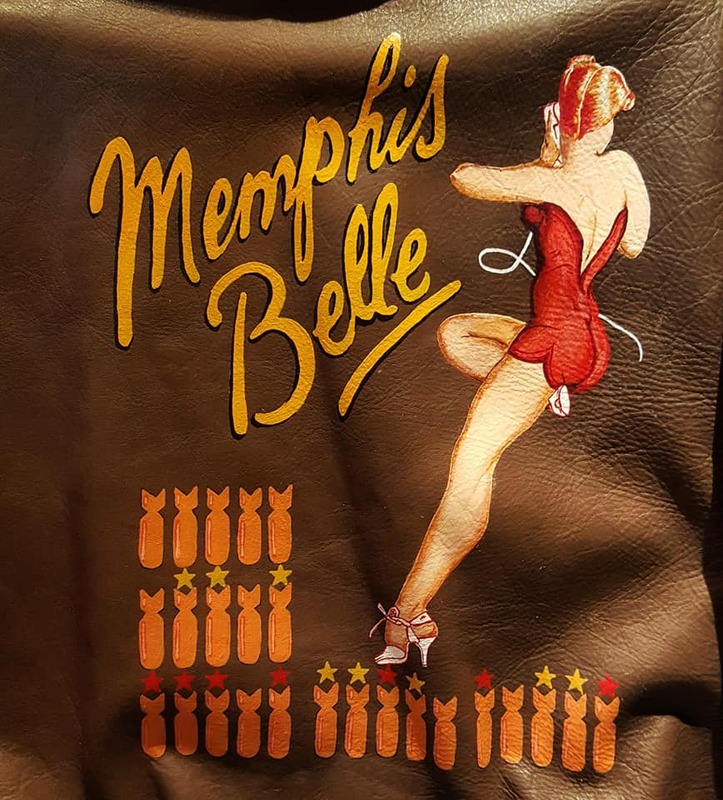 Often times bomber and fighter pilots alike would often have their jacket decorated with the same nose art on their planes and other things such as enemy fighters shot down or completed bombing missions. 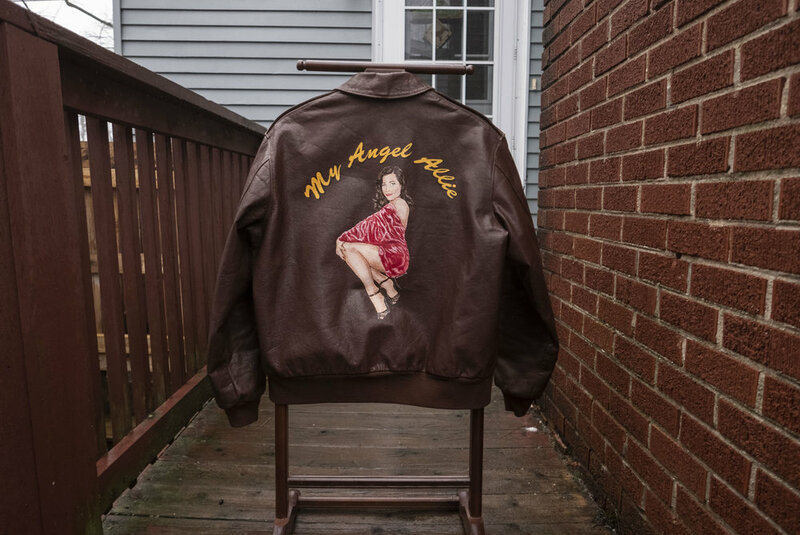 As a result of this there are thousands of unique jackets that range in design and color. 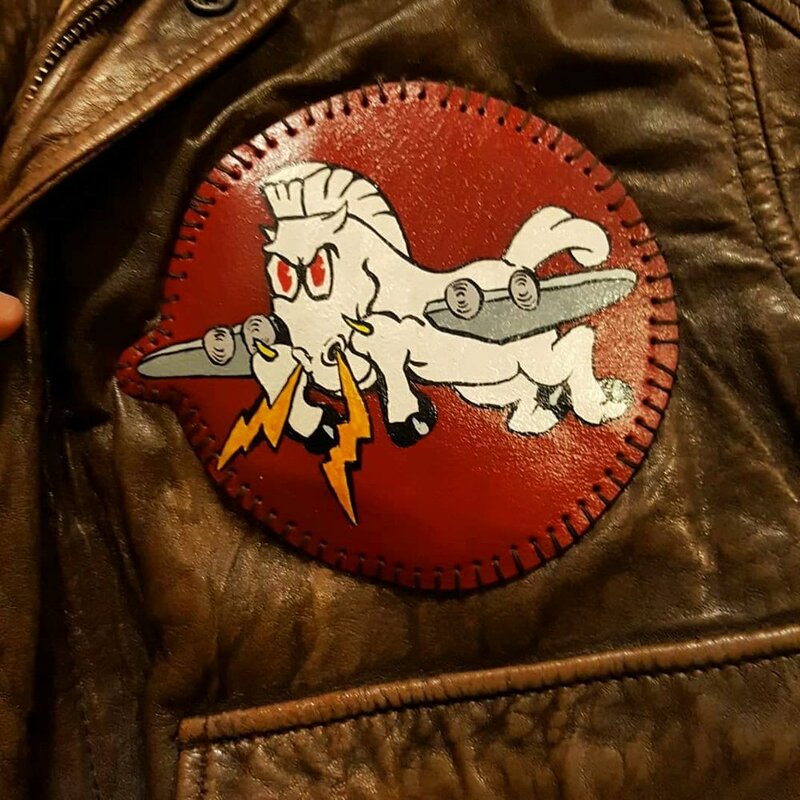 This trend of personalizing bomber jackets and aircraft with nose art is still done to this day. 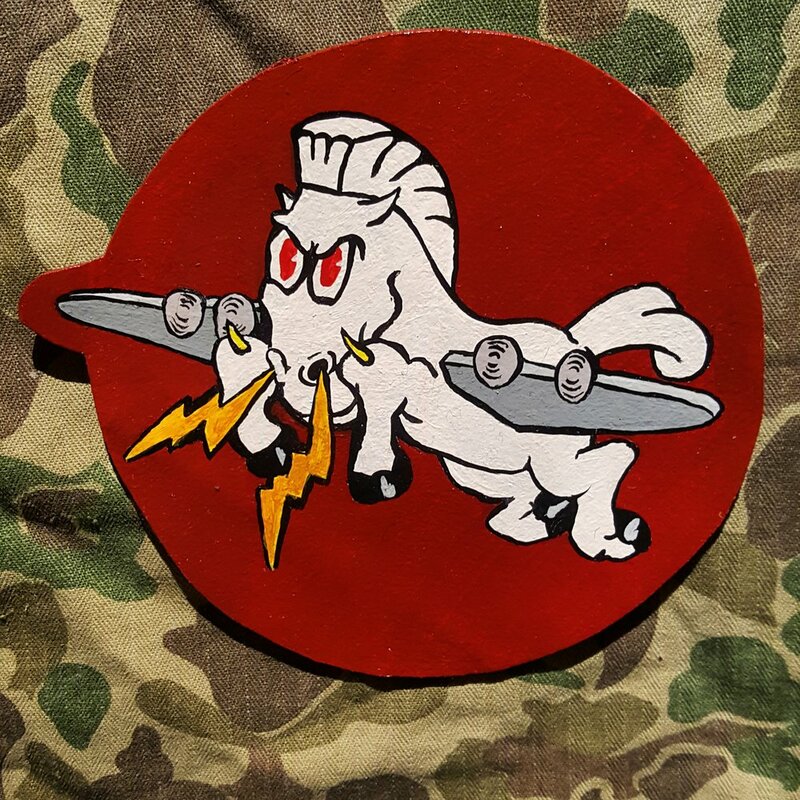 I find that painting new designs or recreating jackets from WWII is a very unique way of experiencing history. I love history and this is a way in which I can help preserve it for generations to come. 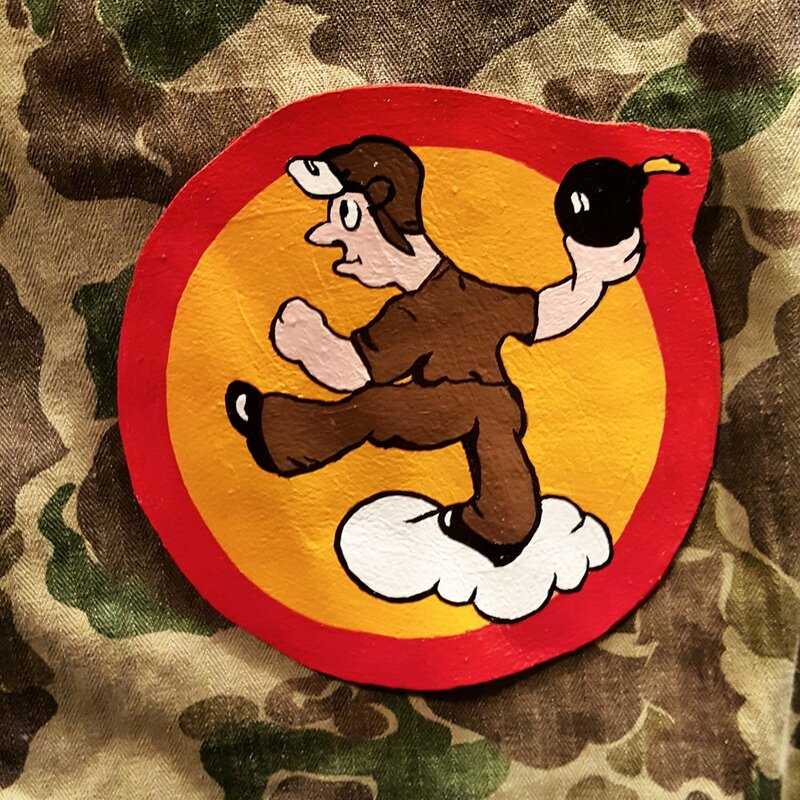 In addition to painting flight jackets I also do work on recreating bomb squadron and bomber shoulder patches. 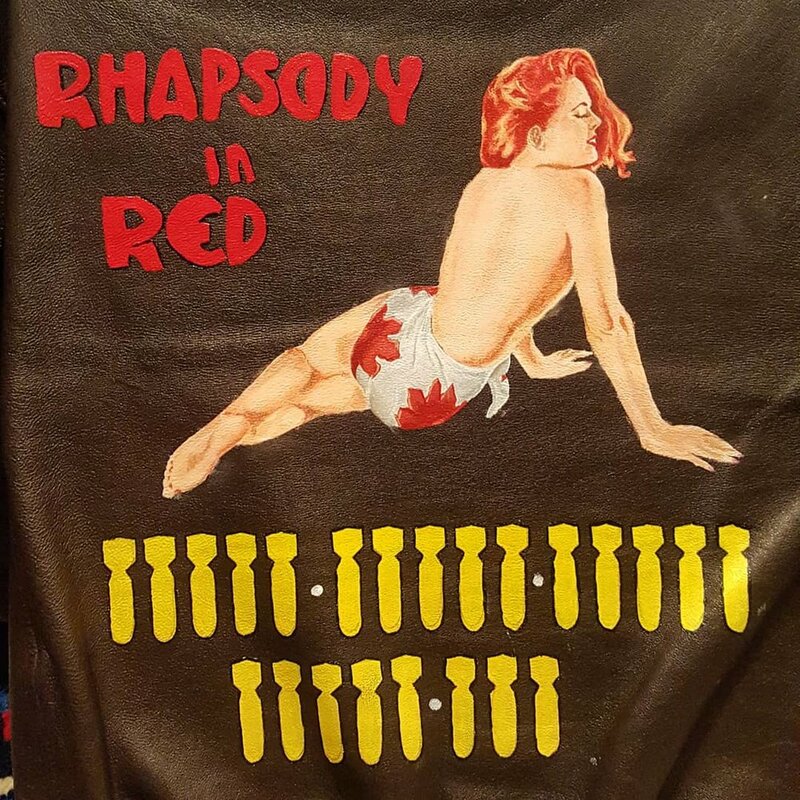 As well as doing work on other military jackets and other accoutrements. 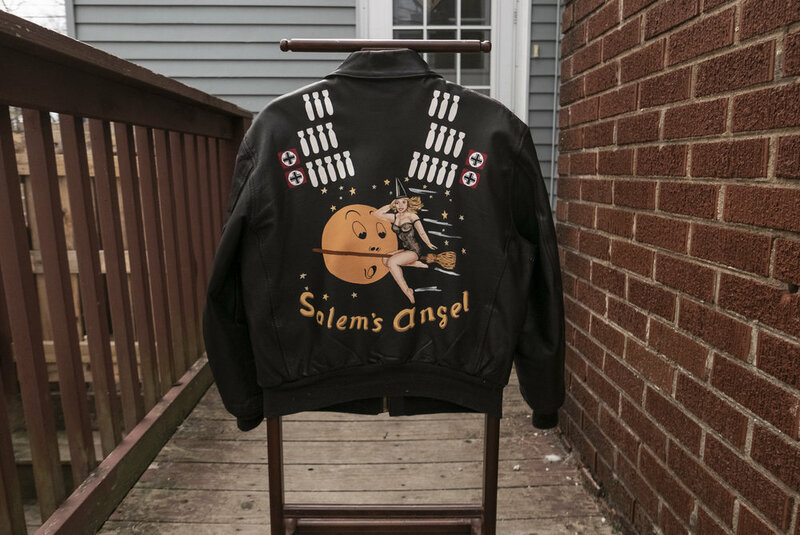 There are a lot of bomber jackets that have been made over the years and while most have similar designs not all are correct if you are going for a correct WWII vintage look. 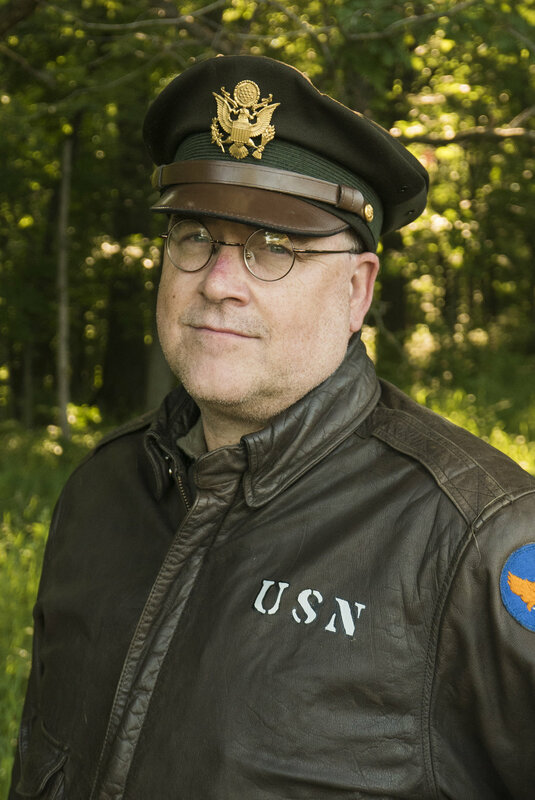 For a correct WWII bomber jacket it should have only two flap pockets in front with no slit pockets. Additionally the back should have a one piece panel back. 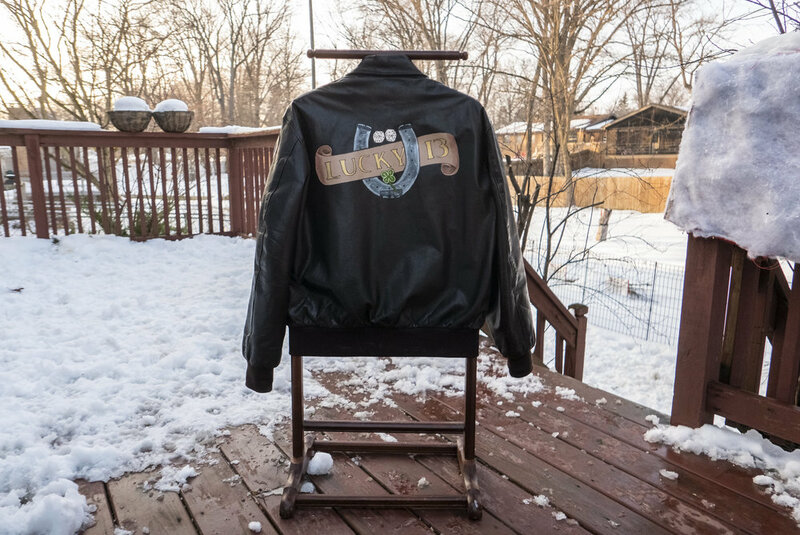 Some later war jackets did have a two panel back but that was not as common. It should range in color from a seal brown to a russet brown. On the shoulders there should also be box stitching on the shoulder boards. And lastly is the material. 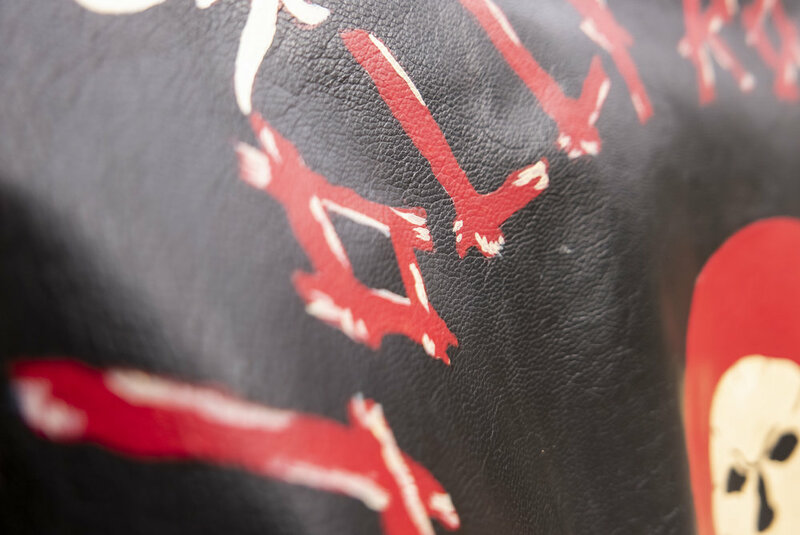 The most common types of material that the jackets were made of were Horse hide, Goat skin, or Steer hide. 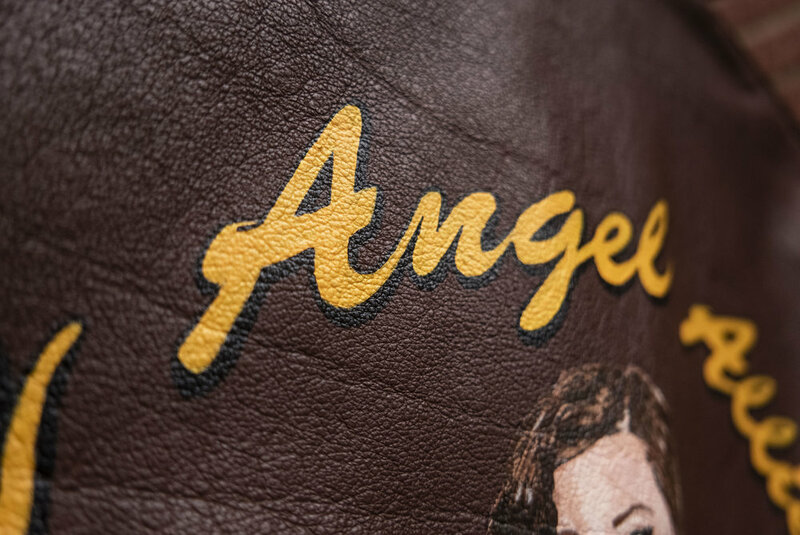 While there are a few other details to look for these are the main things to look out for when purchasing a jacket. I recommend Cooper A2 or Avirex Jackets if you are just starting out. 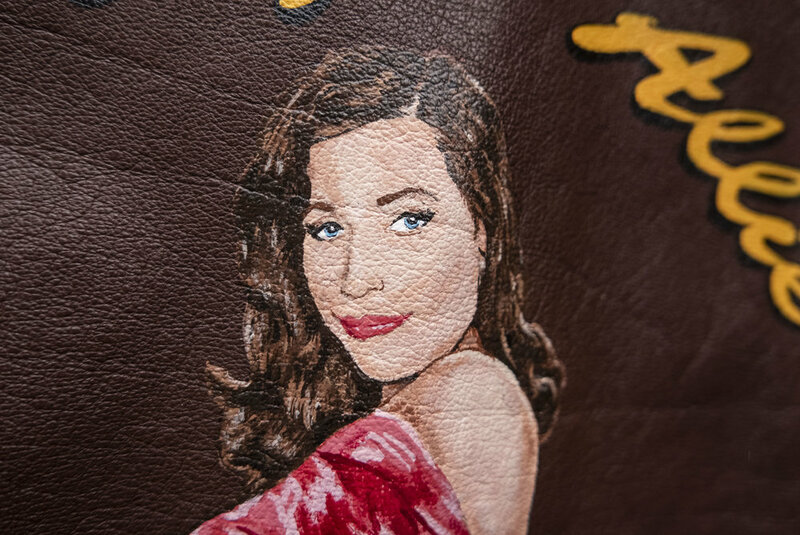 Below you will see examples of clients jackets that I have already painted. 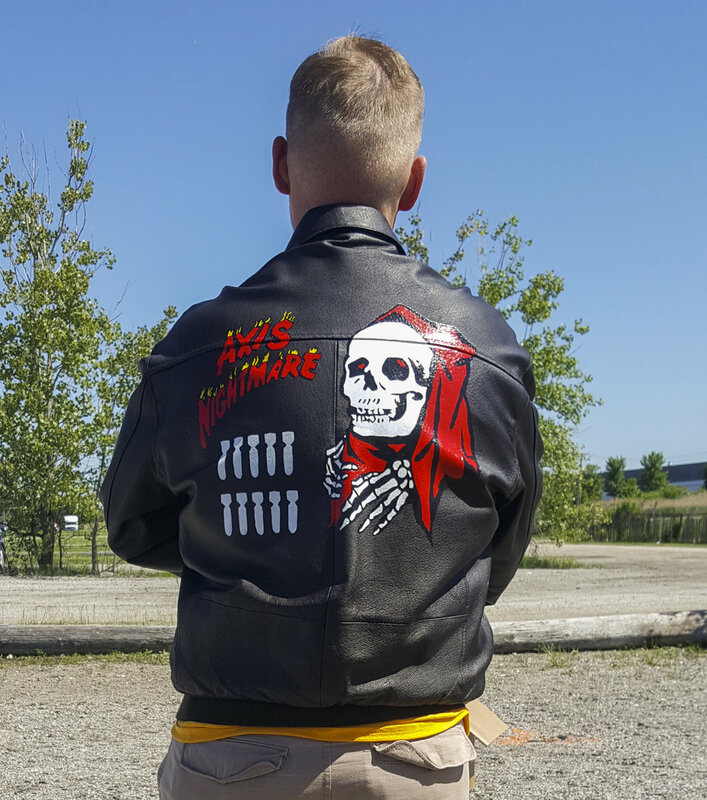 If you are interested in getting a jacket painted, patches made, or have some ideas please contact me below and we'll go from there.